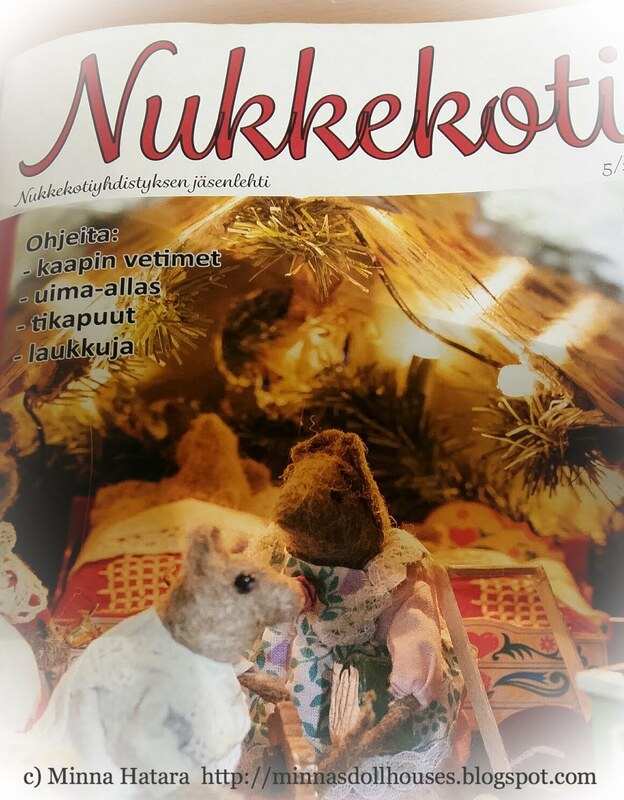 I got the newest issue of Nukkekoti (Dolls house) magazine, published by the Finnish Doll's House Association, a couple of days ago. In it I found some nice bag tutorials by Maria Malmström. Here are two versions which I made with the help of her patterns. Maria is a truly wonderful miniature artist and she is very generous with sharing her excellent instructions. 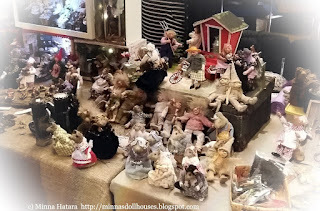 If you aren't familiar with her work yet, please do visit her blog. A couple of weeks ago my friend Irmeli and I visited the yearly Doll and Bear Fair which was organized by another association, the Finnish Doll Association. 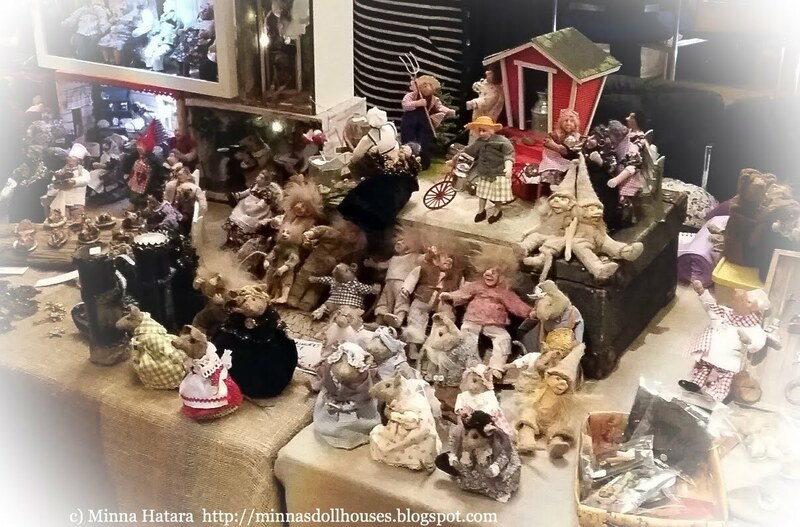 Unfortunately I do not remember the name of the artist who has made these dolls, but I found all these figures so charming. Very stylish bags. Maria´s tutorials are always excellent. And she truly is a generous person.